As a roofing contractor with decades of Pasadena roofing experience, we are committed to providing each customer with conscientious, professional service � every time. In fact, we have built our business �one shingle at a time.� This philosophy has served us, and our customers, well over the years. We are committed to safety, craftsmanship, and customer satisfaction. Safety is especially important because Pasadena roofing is dangerous work. We value our employees and want to ensure their safety at all times. 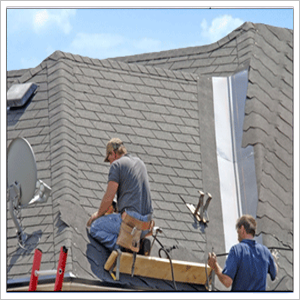 We start by hiring experienced, conscientious roofers who share our values. Our commitment continues through ongoing safety training and an insistence that all safety equipment, protective gear, and procedures are used at all times. In addition, we are licensed, insured, and bonded for added peace of mind. Craftsmanship is also a driving force in our business. We do not believe in cutting corners or using inferior products. Whether we�re working on a custom multimillion dollar mansion or a more humble house, our roofing workmanship is second-to-none. A reputation for safety and craftsmanship is meaningless without satisfied customers. We are committed to providing the best customers service possible. You can count on our Pasadena roofing crews to be polite, courteous, and respectful at all times. In addition, we regularly keep our customers updated about the project�s status. If there�s a delay, we�d rather tell you about it as soon as we know about than to leave you wondering where we�ve been for the past few days. If you need Pasadena roofing services, you�ve found a Texas roofing company committed to safety, quality, and satisfaction!